I’m hoping that we found “our” butterfly after it flew and long and arduous journey from somewhere far away. But it could just as well have been tagged and released that day by someone nearby. 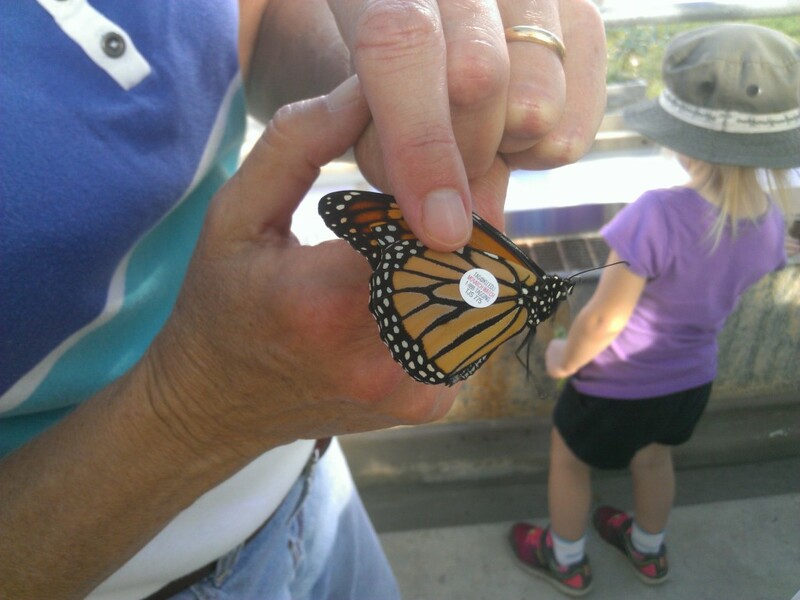 Tags are placed in a specific spot on the butterfly wing to minimize flight interference. 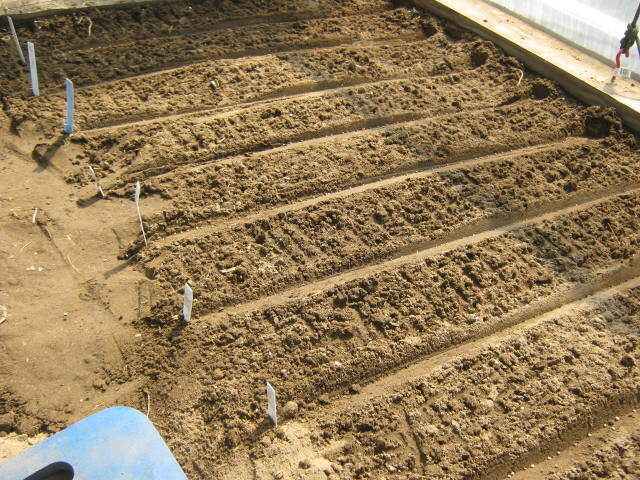 One major task in my garden this week was planting seeds for a winter crop of produce. I have a small, unheated greenhouse — sometimes called a high tunnel — that I built last year out of salvaged parts. That’s where I sowed my seeds. In our climate, most winters are too harsh for winter crops to survive without some kind of protection. I was able to plant the entire floor area of my greenhouse with spinach, winter onions, radishes, beets and a couple of different types of lettuce — all cool weather vegetables. The seeds were left over from my spring crop. Time is running short for those who want to try growing produce for winter harvest.